At WFX 2013, HARMAN's Soundcraft is hosting sessions at the HOT (Hands-On Training) Labs titled, "Introduction to Mixing with Digital Consoles." Conducted by Katy Templeman-Holmes of Soundcraft Studer, the sessions will enable attendees to learn the fundamental differences between analog and digital consoles and the benefits of switching to digital. The sessions will be held daily from October 2-4. HOT Labs provides live educational sessions for professionals and volunteers in the house of worship industry. 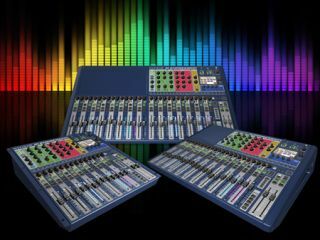 Attendees of the "Introduction to Mixing with Digital Consoles" sessions will get first-hand experience working on Soundcraft’s Si Expression and Si Performer digital consoles. A Studer Vista 1 digital console is also available for attendees to train on.